With a predominantly residential project base, Project 12 Architecture understands that whether it’s a tiny renovation or new build home, the undertaking is often one of the most significant investments their clients will make. Projects are often developed and discussed over the kitchen table, ensuring that the individual requirements of each client are met as they evolve. Both Aimee and Louis work in tandem on projects, as opposed to being sole authors, bringing the benefits and insight from their individual experience. By establishing close working relationships with clients, builders and consultants the practice has delivered a number of projects which respond to key criteria of budget, site, program, whilst still demonstrating the importance of good design. The practice seeks to arrive at considered and appropriate outcomes, tailored to the needs of the client, that still speak to broader contemporary practice. A thriving practice that has been operating for over 30 years, A+ institute member, residential and commercial architecture, large scale land development, building dispute practitioner. A shared passion for architecture and an onging working relationship over 20 years was the impetus for Stephen Rachcoff and Tony Vella to form a new architectural practice together. The catalyst that formalised their union was an exciting opportunity to develop a 75 apartment multi-residential project on a heritage site in North Melbourne. 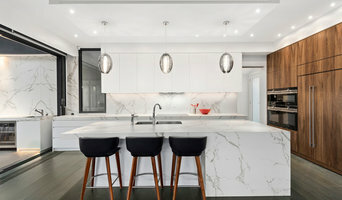 Since 2007, Rachcoff Vella Architecture’s youthful team of architects and designers have built a reputation in a variety of disciplines; from high-end residential and heritage projects to larger scale multi-residential and commercial developments. RVA specialises in a number of architectural disciplines with the team’s focus committed to developing long term relationships with clients. For Tony and Steve, working for people with a willingness to let go and instill faith in their architect's ability results in the most exciting project outcomes. RVA aspire to develop innovative design solutions that inspire all involved in the journey! Timmins+Whyte is a Melbourne based architecture and design firm. Our team is talented, young and passionate about incorporating beauty and function in the built environment. We believe in a collaborative design process in which the client's needs, the context of the project and our creative vision come together to produce a distinctive and original work tailored to site and client. Mark MacInnis is a local architect to Melbourne and specialises in house renovations and extensions. Ande Bunbury Architects are an award-winning Melbourne-based architectural firm with a reputation for finely crafted architectural solutions. Our projects demonstrate a strong commitment to design for sustainability in water, energy and materials and incorporate new techniques and systems as well as using centuries-old fundamental principles. Buildings designed by Ande Bunbury Architects incorporate passive solar design, natural ventilation, solar heating and cooling, rainwater collection systems, alternative power sources, grey water recycling, solar hot water and water efficient landscaping. Our buildings are designed to be cost effective yet beautiful, for flexibility of use over time, have a long lifespan and low toxicity and low maintenance finishes. MAKE is a Melbourne based architectural practice with a strong focus on quality and a passion for good design. Our buildings are designed to respond to the seasons and careful thought is put into how spaces are occupied. Believers in quality not quantity, MAKE look for efficiencies and delight in the design of our buildings and focus on ways that these buildings can make our lives better. At MAKE, we see each project as collaboration between us, our clients and builder and all the aspects of the building process are carefully considered. Through this collaborative approach we don’t overlay a prescribed style, instead preferring to let the client brief and context drive the outcomes. A sustainable ethos, responsible social agenda and a site responsive design process are part of every project and even the smallest project presents an opportunity to contribute positively to the fabric of its place. All MAKE staff are involved in architectural education through teaching and this commitment to the education of young architects is an important aspect of the studio. This combination of teaching and practice ensures a fresh and creative approach to design. MAKE projects are published widely and have received numerous awards. Architecture has evolved far beyond the norm of mere knowledge of construction and is progressively becoming more complex, demanding finely tuned spatial fluidity, practicality, conformity, seductive forms, all combining in the creation of timeless designs. Zeno Entity specialises in the design of luxurious, residential, multi-unit and single dwellings. It embraces modernism in design but with a strong awareness of the past, often injecting new life into former classical models. Thus, one often sees elements of Baroque classicism, Georgian and especially Art Deco reflected in our concepts. Established in 2002, Dig Design is a multiple award winning Architecture and Interior Design firm based in Melbourne. Whether your project is big or small, residential or commercial, our designs are tailored to meet your specific needs. We will work with you to create an innovative, contemporary, quality architectural solution. At Dig Design we look forward to making your architectural dreams come true ... making you the envy of your friends and colleagues! You will get award winning expertise in architecture and interior design with a personal level of service, and our guarantee that you will deal with key personnel at all stages of your project. Contact us today ... let Dig Design help create your place in the world! Jost Architects is an architectural practice based in Melbourne established by Patrick Jost over ten years ago. We have been involved in a range of different types of institutional, residential and commercial projects over that time. All the projects we work on for our clients should not only have the most functional result, be highly sustainable and on budget, but be of a high quality and carefully considered contemporary design. 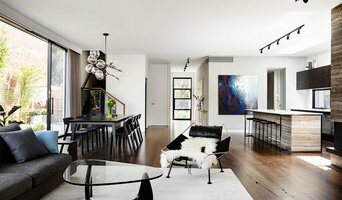 Adapt Architecture is a sustainable design focused architecture studio based in Melbourne's inner North. Adapt Architecture specialise in creatively adapting passive solar design principles to residential, retail and commercial architecture. 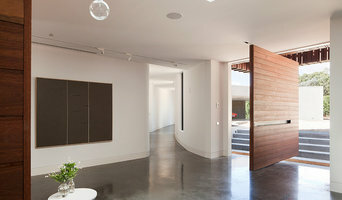 Marc Dixon Architect was established in Melbourne in 1996 by Marc Dixon. The practice engages with architecture and interiors, feasibility studies and project management for project with a variety of scales and program. Completed projects include, Residential both Single and Multiple Dwellings, Retail and Commercial projects through to Heritage, Social Housing and Community based projects. 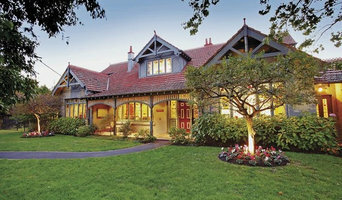 Projects can be found from Metropolitan Melbourne, to Coastal, Alpine and Country Victoria. In addition to our growing residential portfolio, key project we have also completed include, Provans Timber + Hardware in Clifton Hill, Jason's IGA plus Liquor in Ouyen, The Monaghan Centre in Mildura and Cosela Alpine Lodge in Falls Creek. tessellate a+d is a bespoke design and architecture studio established in 2012 by Steven Swain. We are client-oriented and value the process of collaborating with our clients and the significant investments they entrust us with. We approach each and every design with our core values of authenticity, craft and enthusiasm in mind. We deliver a considered bespoke response tailored to our clients' brief and values. Environmental and social sustainability is at the core of our thinking so is therefore weaved throughout all our work. We are a small practice that has been established on a successful background of experience in many facets of architecture and design encompassing all project sizes. A full range of architectural services as well as ancillary services are available. We love designing homes for clients and being part of their experience. For more information view our past Projects or visit Services. tessellate a+d are experts in innovative prefabricated building solutions. Our relationships with prefabricated builders and experience in this type of construction can assist in delivering quality-controlled outcomes, delivered within known time frames. tessellate a+d is Melbourne-metro based yet enjoy travelling throughout Australia so work in all states and territories. 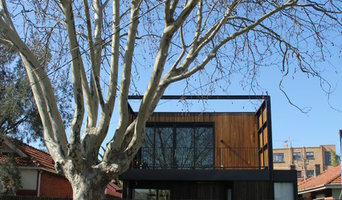 Kiril Architects is a boutique architectural practice situated in Bayside Melbourne. Our principal architect has over 13 years of experience and a passion for world-class architectural design. Kiril brings an unprecedented level of skill to a wide variety of industry sectors and projects from initial concept, right through to meticulous construction detailing. Visual appeal is maximised in all his designs through clever use of form and a heightened sense of open space. Displaying an enhanced understanding of spatial design and intense attention to detail on every project, Kiril’s architectural leadership of his talented team of professionals ensures projects have a profound presence, whilst maintaining financial and environmental context. European qualified and experienced, after moving to Australia in 2006, Kiril was employed by Lowe Construction for over six years, working predominantly on delivering high-end residential and apartment designs in Bayside Melbourne. Now, as an independent architectural practitioner, he calls on that extensive experience to ensure every project reflects a commitment to outstanding contemporary architectural design, clever use of space and exceptional finishes.